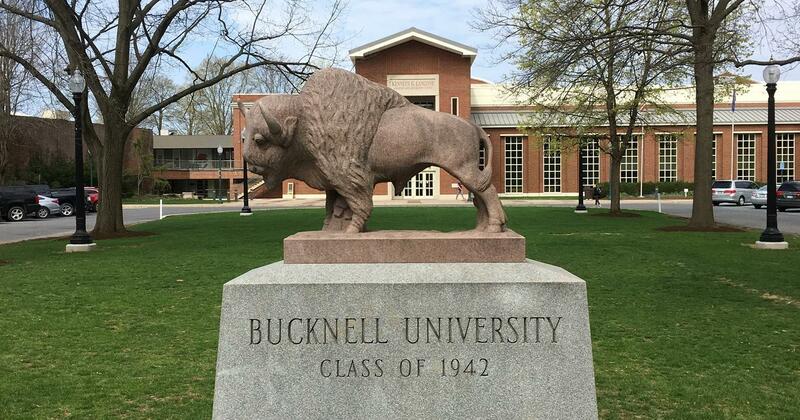 As of today, Bucknell has a charging bull of its own. 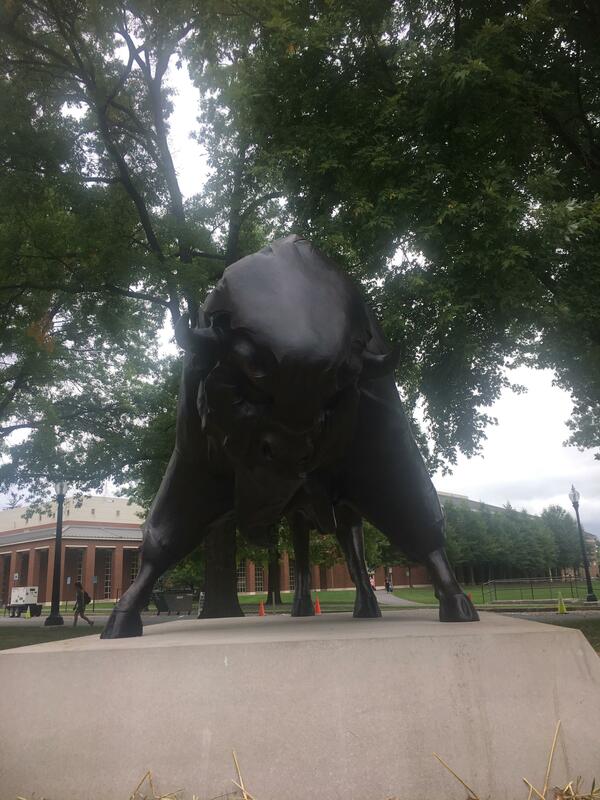 Similar to the one on Wall Street, apart from this one being a bison, it's the most intimidating hunk of metal on campus. Standing eight feet tall at the shoulder, the new bronze mascot was installed today with money donated by the class of 1975. The old statue, which was donated by the class of 1942, was removed a few weeks ago and now stands by MacDonald Commons on South Campus. The difference between the mascots is obvious in both size and meaning. The new bison is in a forward, charging position with a bent head and wide stance, while the old sculpture stands still and calm at a size you could hold in your hands (if it wasn't made of stone). The sculpture was designed by Craig Campbell, an artist who specializes in outdoor sculptures, specifically of animals. 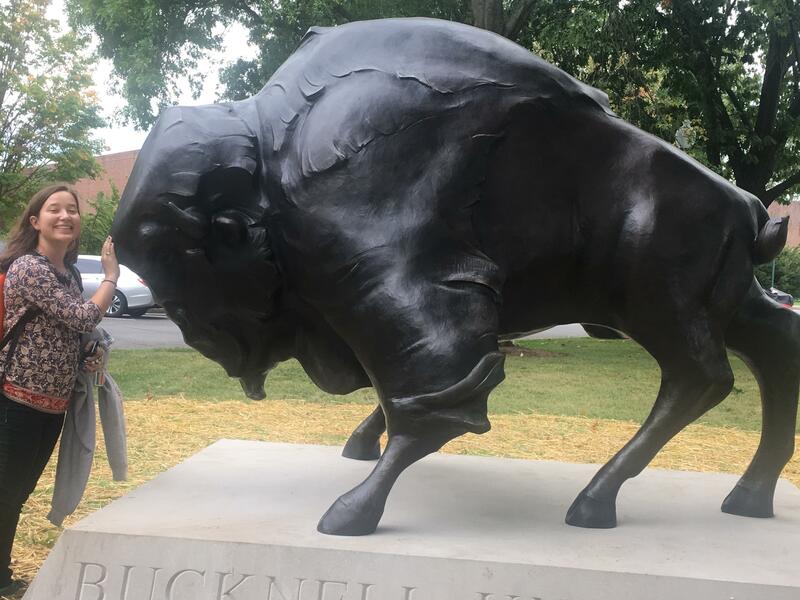 Campbell claims the statue weighs in at 1500 pounds, and is bigger than an actual American bison.